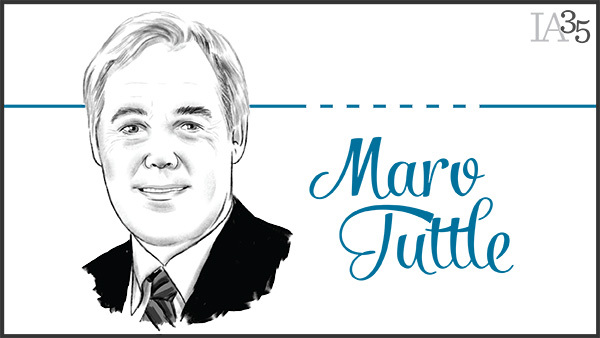 Marv Tuttle reared the Financial Planning Association through its childhood and adolescenceand its seminal lawsuit against the SEC. If you want to build a profession, you need fiery visionaries and tub-thumping evangelists who can energize the grass roots. You need folks with specific technical knowledge and contacts among legislators and the profession’s regulators. You also need someone like Marv Tuttle, who headed the Financial Planning Association from 2004 until his retirement in 2012, but who has been a quiet, conciliatory force—with a steel backbone and clear-eyed ethics—in forging the profession beginning way back in 1983 when he became communications director for the ICFP. So what are the elements of a profession? “It was things like ascribing to a code of ethics and a desire to be regulated” that allowed the profession to form, but “also, one of the things I’m most proud of, was the willingness to give back, to help others” exhibited by financial planning practitioners. “In the early days,” Tuttle recalled, it was a challenge “just building trust within the key centers of influence—government, media—that financial planning could be a legitimate profession.” One development that helped in gaining that legitimacy was having FPA leaders and “mainstream” planners who “knew what they were talking about” in conversations with government and the media. The consumer media in particular “now looks at planners as great resources,” he said. The profession’s development was helped by the fact that on both the professional and volunteer levels, “at the ICFP and the FPA, the right leaders came at the right time.” And the volunteer leaders saw their participation “as a significant honor, though they had to give up” much of their time to do so, mentioning in particular leaders like Dave Yeske, Dan Moisand and Elizabeth Jetton. Tuttle said that “one of the highlights of my career was to hit the road to colleges and universities,” and noted that “in 2003 and 2004 FPA helped establish the NexGen group as an important cohort in the profession, encouraging the youth of the profession to take it forward.” Tuttle said “I’m excited about the people coming up” who will lead the profession into the future. Tuttle recalled that “the board was reluctant” at first to file the lawsuit, initially proposing that FPA file with other like-minded groups, but eventually the board backed the lawsuit completely. “FPA, when it was created in 2000, was meant to be broad-based—professional and corporate” so when the decision to file the lawsuit “came about, it caused some consternation among the corporate community and our members as well,” since it “clearly lined up” for “providing professional financial advice under a fiduciary standard. It cost us members and revenue,” he admitted, but “the board figured it was important to the development of the financial profession. We did our best on projections; there were intended and unintended consequences, but we did the right thing for the financial profession. On the fiduciary issue, Tuttle said the CFP Board and FPA “are doing the best they can in sticking to your guns; doing the right thing for your clients, whether we have a fiduciary rule or not,” and he remains proud that “FPA put its stake in the ground.” That commitment “is starting to have an impact.” While the Department of Labor “is not where we were originally headed” in terms of a fiduciary standard, “it’s a good development.” DOL, he said, “has gotten there on its own; President Obama has gotten there—the president recognizing” the important of a fiduciary represents a major victory. As for his own future, Tuttle said that while he’s enjoying the family time that retirement provides, he just may come out of retirement.